A Hollywood movie shoot comes to town and journalist Cendrine West is eager for a scoop. Her witchy family also wants in on the action, but shenanigans with the stars soon turn to Tinseltown tragedy. Bodies are piling up faster than a coven’s worth of curses, and everything points back to Cen’s starstruck family. They will stop at nothing in their quest for supernatural stardom, even if that means meddling in a murder investigation. The witches have created one spell of a mess and given the killer a chance to get away with murder. Cen resorts to her own blend of supernatural justice to keep her family in check, but can she unmask the killer before he strikes again? Welcome to the wild, wild Wests! 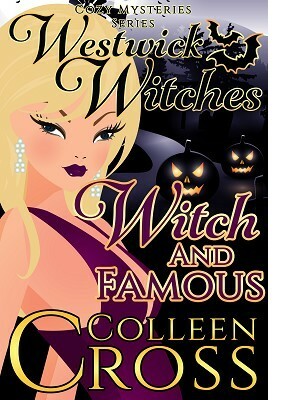 Witch & Famous is for fans of a paranormal mystery, cozy mystery, and wickedly funny witches. This book can be read as a standalone mystery, but if you want to know more about the Westwick Witches and their family history, you can start with book 1: Witch You Well.